When turning off ray visibility in the object tab for lamps, they are still visible for SSS shaders, even when all boxes are un-checked. The expected behaviour is that the lamp becomes invisible for SSS shaders when "diffuse" in un-checked like it works for regular objects. Open attached blend -> turn on rendered view or render. The only light source in the .blend is a spot lamp that has all ray visibility turned off. The diffuse ground is not illuminated by the lamp but the cubes with SSS are. 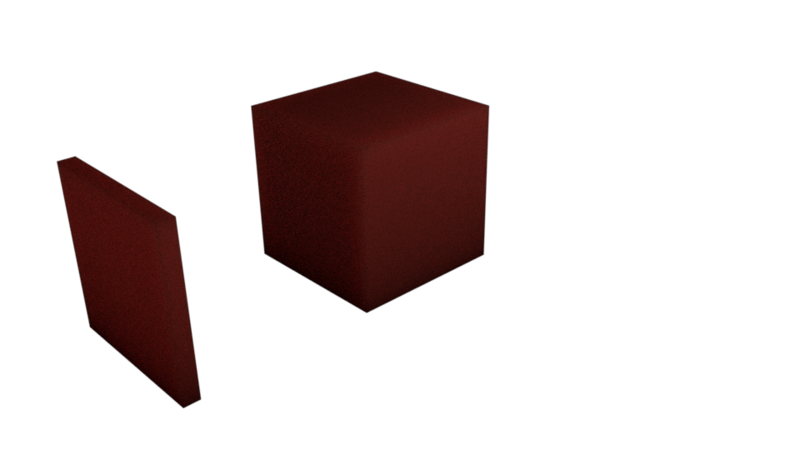 When you assign a material with for example emission shader to the plane and turn of the ray visibility of the plane for diffuse rays, the cubes are not illuminated by it, showing that rays from SSS shader are treated as diffuse rays normally. Gottfried Hofmann (gottfried) assigned this task to Thomas Dinges (dingto). Thomas Dinges (dingto) added a project: Cycles. Lukas Stockner (lukasstockner97) added a commit: rB028ba319038c: Fix T48698: Rays from SSS act as diffuse for normal objects but have an….